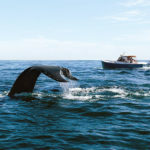 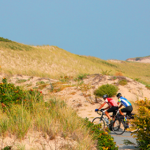 Sojourn Bicycling & Active Vacations has received acclaim from many travel and adventure publications. 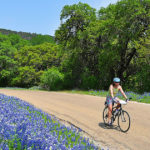 Find out what others have to say about our award-winning bike tours and why we are the best in active travel. 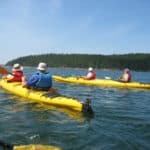 The routes and the trips at Sojourn are hand-crafted by a team of highly experienced trip designers in collaboration with local experts. 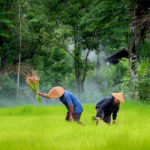 The design focuses on finding the hidden gems based on local feedback, sampling the local cuisine, selecting the less traveled roads, plus allowing time for restorative relaxation. 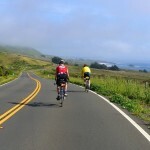 Heavy on the charm and short on hills (great for beginner cyclists! 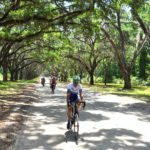 ), this seven-day bike trip with Sojourn highlights the best of coastal South Carolina and Georgia. 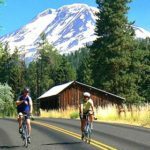 Ride among waterfalls and in the shadow of volcanoes on a five-night tour through the famed Columbia River Gorge. 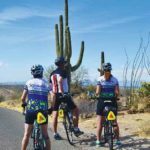 Warm up to winter on a desert bike tour, riding among giant saguaro cactus, grasslands and vineyards on a seven-day winter or fall getaway in southeastern Arizona. 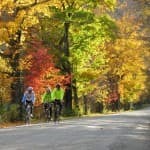 Sojourn Bicycling & Active Vacations isn't the first to pair cycling with cuisine, but the bike tour of northern Spain's Basque Country focusing on the famed Rioja wines and local pintxos (generally translated as the Basque version of tapas) offers a fresh take on the theme. 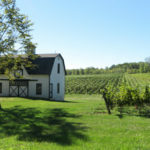 Travelers can pedal through rolling vineyards, ancient towns and fishing villages on a new tour of Northern Spain’s Basque Country and Rioja wine region from Sojourn Bicycling & Active Vacations. 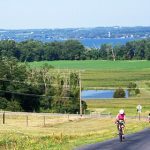 Along the way, cyclists will taste wine and take in art at an acclaimed museum, enjoy bite-size pintxos and explore beaches. 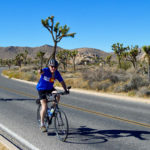 If Wimbledon will have you jonesing to attend a tennis match, but a trip to London is not in the cards this summer, here’s a way to see world-class tennis in a beautiful venue, plus get in a workout of your own. 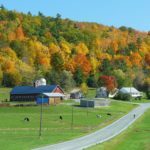 The Stowe Mountain Lodge Classic debuted last year, as a run-up for (male) players to the U.S. Open, the next Grand Slam event after Wimbledon... Now you can have a special, and active, spin on attending a tennis event. 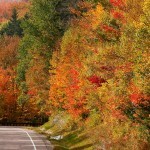 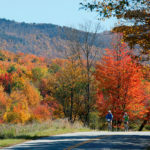 Sojourn Bicycling and Active Vacations has teamed up with GSTT to offer an exclusive biking and tennis trip. 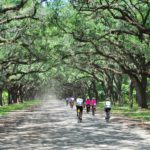 Savannah, Ga., and Charleston, S.C., are popular tourist destinations, and Sojourn Bicycling & Active Vacations has put together a new trip that will have you biking between them over seven days. 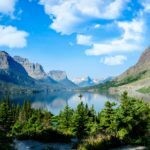 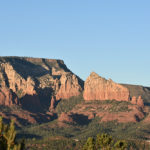 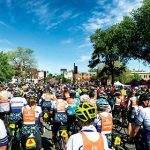 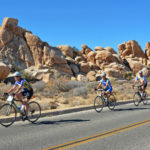 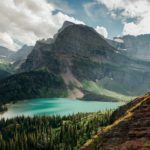 Sojourn Bicycling & Active Vacations’ new Northern Arizona tour leads riders through the beautiful Prescott National Forest, Skull Valley, Mormon Lake, and the iconic Red Rock Scenic Byway. 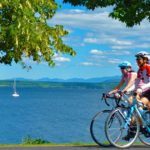 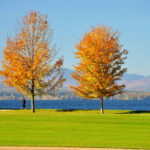 Learn about bike maintenance, discuss nutrition and fitness, and explore country roads alongside Lake Champlain during a women’s-only bike tour in northern Vermont. 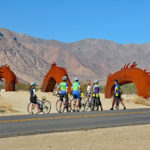 Sojourn's President, Vice President, and a senior Trip Leader were featured on Fox's Good Day LA at the LA Travel & Adventure Show, talking about the brand new additions to our bike fleet. 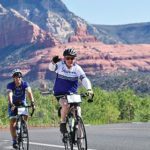 Electric Assist Bikes or E-Bikes are changing the game when it comes to enhancing your bike tour experience. 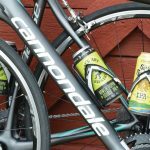 "Just because you like to embrace your rugged side while hitting the road doesn’t mean you don’t like to be pampered at the end of a ride." 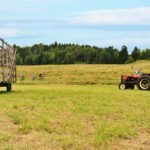 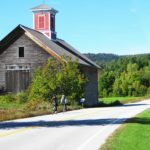 "You’ll pedal from inn to inn and brewery to brewery, climbing through the Green Mountains’ rolling terrain and scoring a day of mountain biking on the Kingdom Trails." 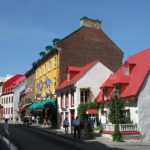 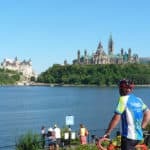 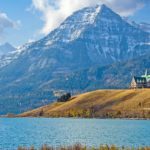 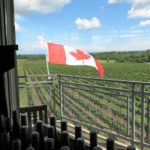 "Transport yourself to Europe without ever leaving North America on a cycling tour of Québec, Canada's French speaking province"